InstaForex provides additional features for the tyros willing to test their knowledge of the currency market without putting their own money at risk. Now you have a golden opportunity to master Meta Trader 4 using an upgraded interface of Demo Account Cabinet. This new feature gives more flexibility to company’s customers in applying the full range of instruments that were earlier available for the live account holders only. The introduction and use of the own company’s own innovations for every customer’s convenience is what the crux of InstaForex. In addition, in Demo Account Cabinet traders can find a summary of their demo account statuses with graphics showing the balance change. Besides, it is now possible to choose the leverage from 1:1 up to 1:1,000. 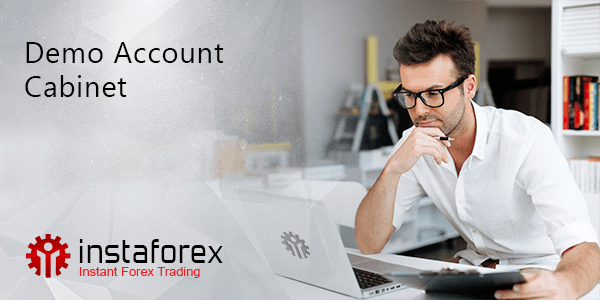 Moreover, traders are advantageous to unite all their demo accounts in Demo Account Cabinet and switch between them for monitoring. Working in Demo Account Cabinet, you will stay abreast of the latest news and events – all the necessary information can be found in the Company news and Promo sections. Prior to working in Demo Account Cabinet, log in to Client Cabinet page of the website. To do that, enter the number of your demo account in the special field. You can benefit from employing various options of Demo Account Cabinet – after opening a demo account, you get the access to the full functionality of Client Cabinet. MetaTrader 4 is a free program enabling Forex, CFD and futures trading. With MetaTrader 4 a trader sends trade orders to a broker. The platform has everything needed for a trader to monitor the financial instruments behavior and conduct technical analysis. The MQL4 development environment of the MT4 platform allows creating and using the automated trading systems. MetaTrader 4 is highly reliable, multifunctional and convenient. 8 security levels guarantee effective protection of InstaForex customers´ funds. You can use all security levels keeping your funds totally safe.